We started waiting for the clock to strike 12:00 by having dinner and entertaining ourselves with several games. For dinner we had fried chicken, lettuce and apple salad, toasted garlic bread, and some leftover pasta. 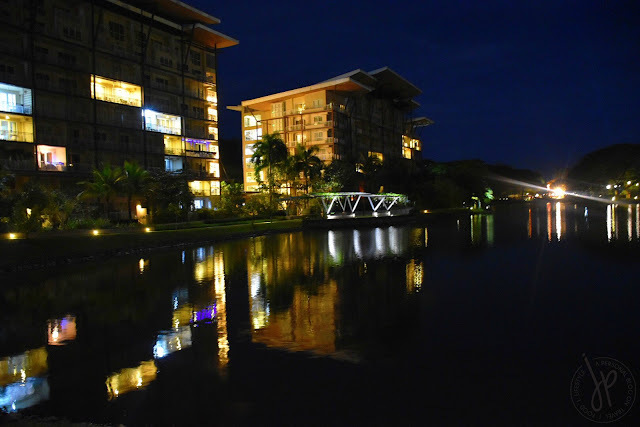 At 9:00 PM, Pico de Loro was still fairly quiet which I like. 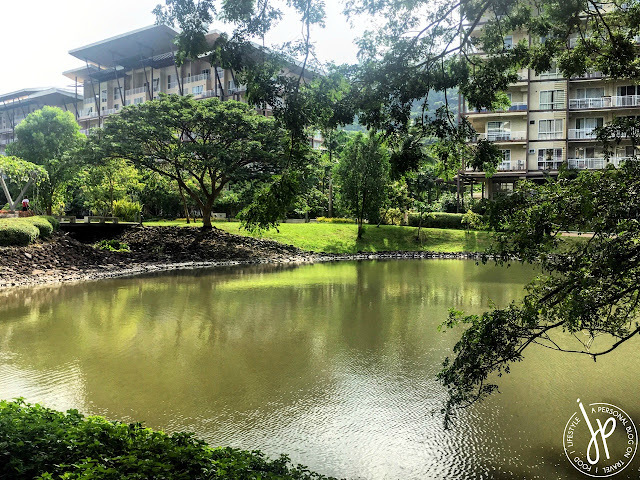 Despite being on the upper ground floor at Jacana, I believe Pico de Loro Cove did a great job when it came to soundproofing. When everyone had consumed their food, we started entertaining ourselves. My sister prepared two games fit for all ages. The first one was Chubby Bunny which was pretty funny initially, until it wasn’t too challenging enough for every pair. I must say, I was a bad guinea pig when my sister and I had to demonstrate how Chubby Bunny works. I couldn’t stop laughing at my own doing, while I had to control my (TMI!) saliva from dripping. The next one was the ever so popular Hep Hep, Hooray. This game is so simple, but so hilarious at the same time! You don’t need a high IQ to win this game – just precise concentration and reflexes. My sister facilitated the game while I take photos and videos. 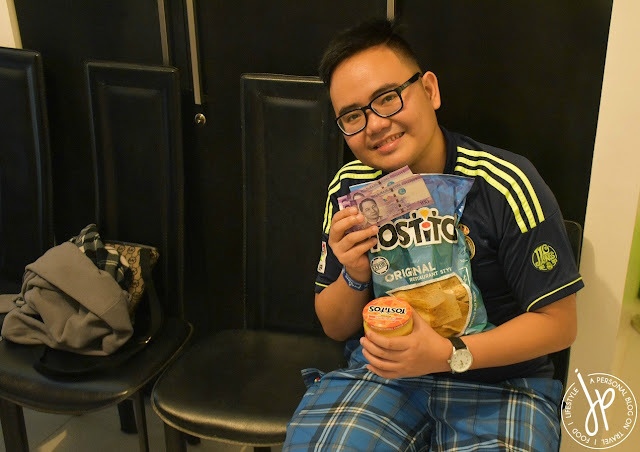 My eldest cousin won the game with Tostitos chips and cheese dip, and a cash prize of Php 200. 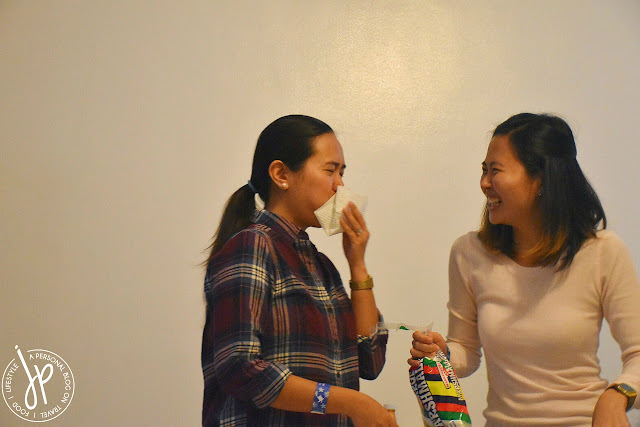 And because the comedic relief always came from the mother, uncle and aunts, we decided to give this game another go with the senior citizen edition (hahaha!). The final and most-awaited game before we hit the lagoon was Bingo. I didn’t expect my aunts and uncles to be THAT competitive, especially because there’s a cash prize involved (lol!). We played several minor games and then three major games. I only won two minor games (Php 100), but my aunt won Php 1,500! That was a great start for her! 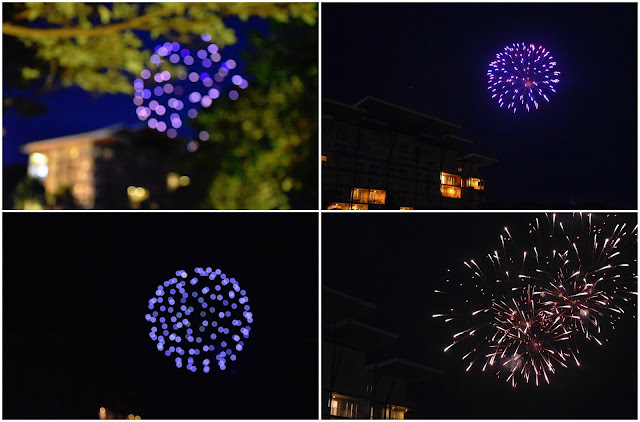 After we exhausted our luck, all of us went out to the lagoon to watch the fireworks display. It was a good 10-minute show and I was so excited to finally say adios to 2017. It was an emotional and liberating moment for me and my husband, especially when we welcomed 2018 at somewhere we’ve never been before. I never liked celebrating New Year at Manila because it’s always a warzone there. It was actually fun to see little kids running around the lagoon, holding spoons and hitting the pots as their way of making noise. It’s a relief that the kids can enjoy the New Year without having to deal with loud and unsafe firecrackers. After the fireworks display, we went back to the Jacana unit to open our holiday presents. And since we still had to rise up early for check-out, we went back to our booked unit at Miranda, feeling exhausted yet accomplished at the beginning of day 1 of 2018. I woke up at 7:00 AM to bathe and fix my belongings as we prepare to leave Pico de Loro. Good thing we didn’t need to come back at the Country Club reception and just had to meet with the housekeeping staff before we leave. After packing, we walked towards the Jacana building to have breakfast at the unit where my grandmother was staying. I had sinangag, danggit, dried pusit, and tortang giniling, which were all so good. My husband and I didn’t stay long since I asked him to accompany me to roam around Pico de Loro Cove one last time. 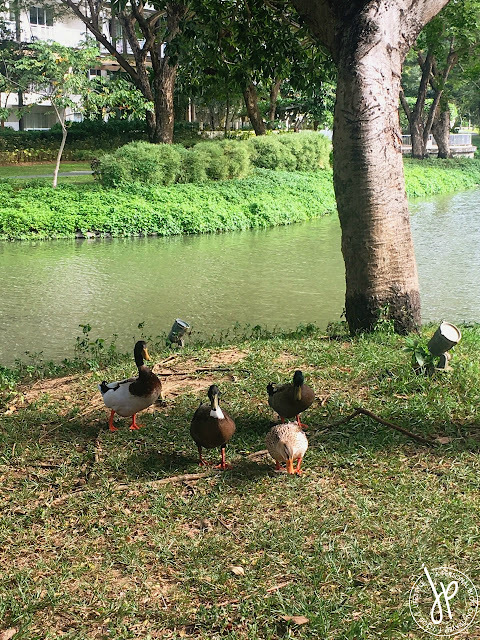 The excessively friendly ducks at the other side of the hanging bridge. I hid behind my husband as soon as they started walking towards me. Lol. 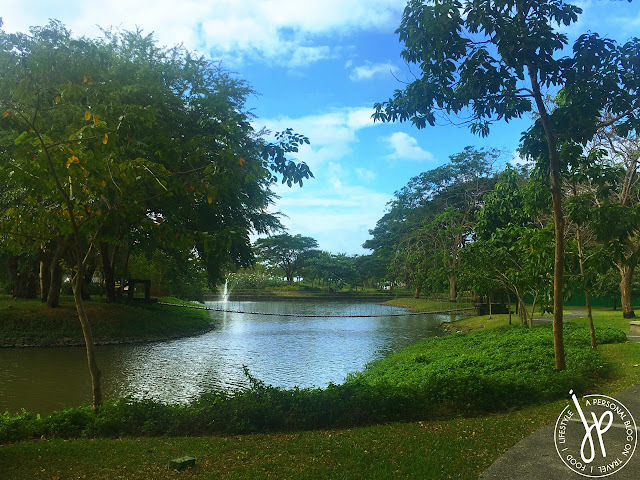 As always, it was a peaceful day at the lagoon as we hear birds chirping and the elderly getting their early morning exercise. My husband reached the wooden, hanging bridge and crossed the other side to see a different view of the entire property, positively hoping for a much better year ahead. After we left Pico de Loro Cove, our entire entourage stopped by at Teresa's Garden Restaurant for lunch before we go on our separate ways. 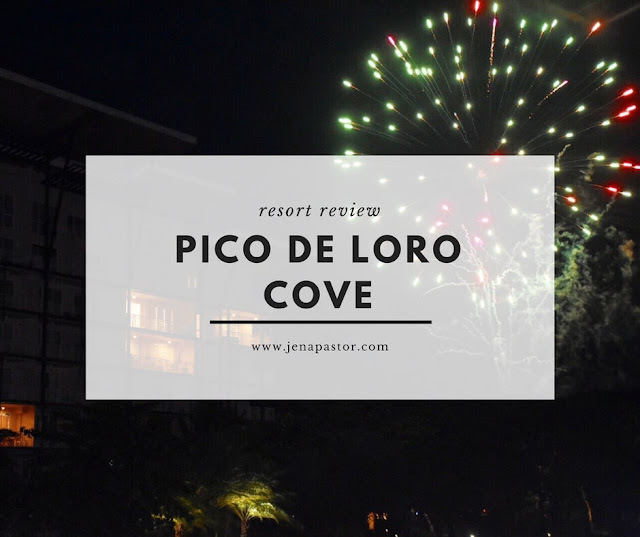 Pico de Loro Cove is an ideal residential beach resort for big groups like us. Furnished with a private beach, lush lagoon, and various friendly animals, the place is a sanctuary for those looking for a stress-free getaway from the bustling city. However, the cost of staying here could be steep for couples or small groups, as they can find better and more affordable alternatives. Though the service isn’t terrible, it’s a must that the management improve their service so that guests and residents will not be disappointed. Disclaimer: This is not a sponsored post. The contents of this entry are purely my opinion and 100% honest based on my travel experience. Hello! My name is Jena, a digital practitioner and a wife who's currently based in Singapore and enjoys traveling, cooking and shopping. I write about my travels around the world, the recipes I cook at home, shopping hauls, and honest product reviews on my blog. Find out more about me here, my write-ups, or contact me at jenapastoronline@gmail.com.